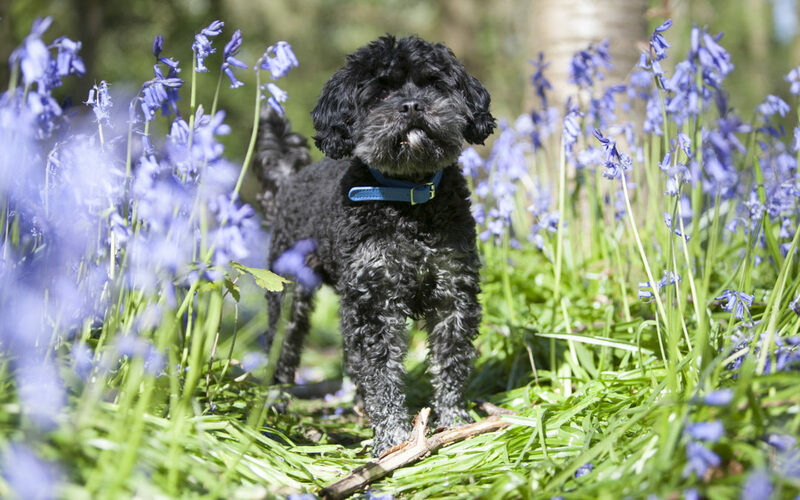 Hi I’m Alfie, a Cavapoo and I am 4 years old. My life is a lot of fun… My Mummy is super creative and makes amazing jewels and she has even crafted me a fabulous special glowing sparkly dog collar!! I am wearing it in the photo. You could ask her about that sometime. 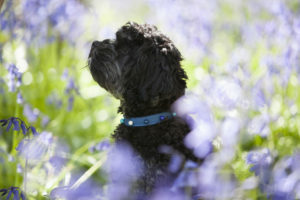 They are a must have for a trendy Sarratt pooch!! When I’m not running through the Bluebells modelling my jewels I can be found sleeping in my basket ! That is until my human brothers come home from school, then I love to play with them and have cuddles. They are good to me and let me share their pain au choc’s mmmm. My bestie is Socks and I have learnt how to chase pigeons thanks to my feline friend. I am really looking forward to the Dog Show on June 10th and I will be strutting my stuff with the best of the Sarratt four leggeds. Why don’t you come along and check out my Mummy’s Glowbead stand she will have such pretty jewels to look at. Oh and I nearly forgot to tell you, that my fantastic photos were taken by Kim at Buttercup photography and she will be on the green on Village day taking photos of all the handsome dudes.